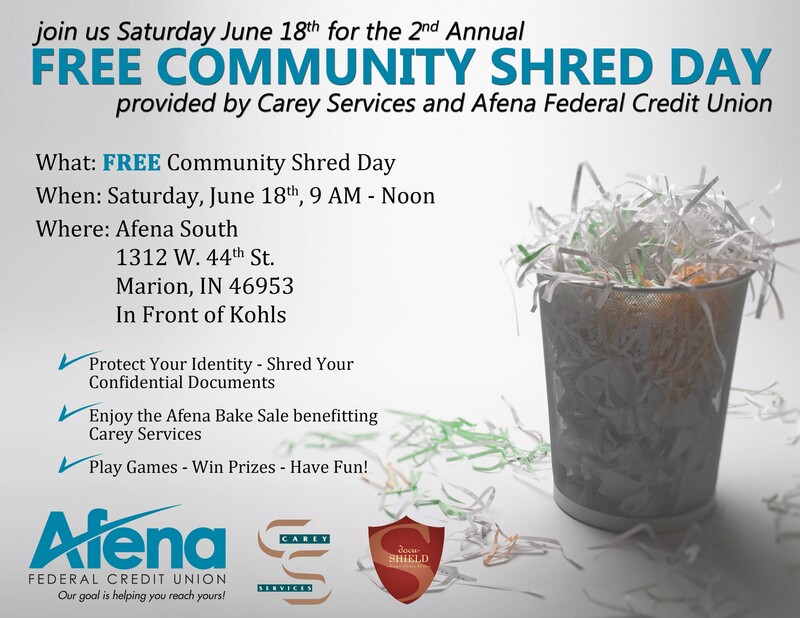 Carey Services is again joining with Afena Federal Credit Union to offer the second annual free Docu-Shield community shredding day from 9 a.m. to noon on June 18. The event will be in the parking lot at the credit union’s south branch, 1312 W. 44th St., in front of the Kohl’s Department Store and TJ Maxx store. Docu-Shield staff members will collect personal papers for secure shredding. All materials will be stored in secure vehicles and taken to Carey Services for destruction. Afena will have games and other activities at the event, and Afena employees will be conducting a bake sale with the proceeds going to Carey Services.